Tai chi is an ancient Chinese martial art that combines physical exercise, breathing techniques and meditation. The Chinese word Tai Chi(shorten word Tai chi chuan) can be described as 'Supreme Ultimate Force.” Tai chi is based on Chinese Tao philosophy, and it involves the graceful meditative, light and natural body movements that relax mind and body while improving the circulation of the energy “chi” within the body. This ultimately helps to strengthen and enhance health of a person. There are many different styles, but the YANG style is probably more common in western. However all style involves a slow, relaxing movements each flowing in to the other, while maintaining balance and harmony which looks like a slow graceful dance. While practicing tai chi, it is important to concentrate and focus with breathing deeply to have desired effects. 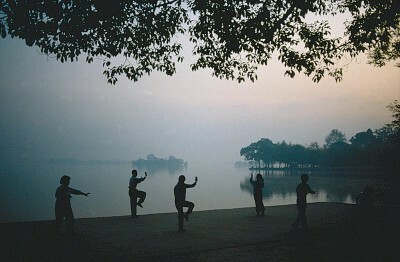 People can practice tai chi alone or in group. Have internal peace, relaxation of mind with spiritual enhancement and overall wellness.